As you may know, I’m in the early stages of planning my wedding, and as you may also know if you’ve been in the same boat, it can be really quite daunting and stressful. 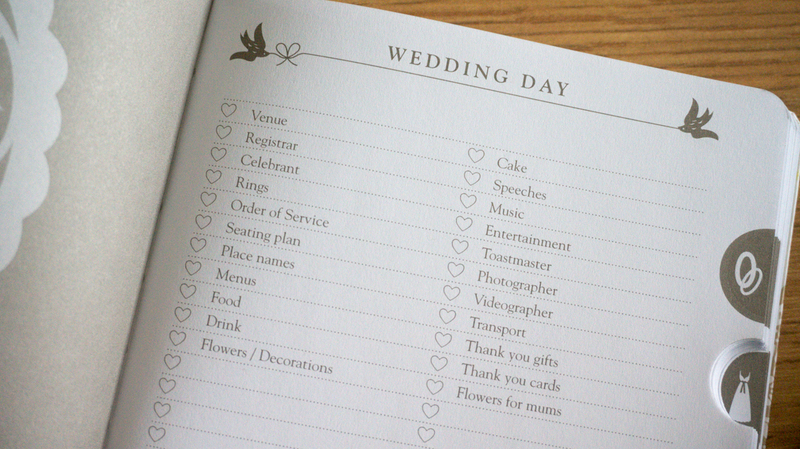 I’ve found myself feeling quite disorganised, which is where the Bride to B Wedding To Do’s book comes in. I am obsessed with lists. I write lists for anything and everything whenever the opportunity arises, so having a dedicated Wedding To Do’s book complete with all of the prompts and pages I need to make sure I don’t miss anything out is right up my street. 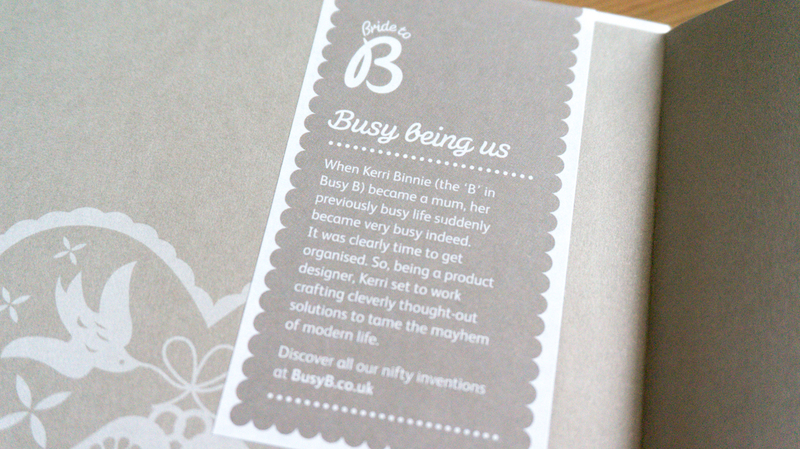 BusyB, a very cool company founded by busy mum Kerri Binnie, kindly sent me some of its wedding range called Bride to B, including the Bride To B Wedding To Do’s book. I haven’t written in it much yet, but I think it’s so awesome that I wanted to hurry up and show it to you. So this is a sort of ‘first look’ review. I’ll update it if I come across any extra hidden gems while I’m using it, or equally anything that I think it’s missing (although I have a feeling Busy B has got it all covered!). First up, let’s just take a moment to appreciate how gorgeous this book is. It has a simple colour palette of cream and brown with a beautiful, doodley illustration on the front. The Bride to B branding sticker that you can see is easy to peel off, making it a really pretty keepsake for after your wedding, too. It’s small and light, making it easy to carry with you in your bag when you’re off to meetings or dress fittings or wedding fairs, perhaps. There’s an elasticated loop to keep a pen or pencil in, an elastic band to keep the book shut and stop any bits you might put in the keepsafe pockets from falling out, and a ribbon to mark which page you’re on. I was really surprised when I opened up the cover and saw how many different checklists and handy templated pages there are inside. I expected the book to be mostly filled with lined pages for your own notes, but it’s neatly organised into four different sections with the relevant pages to fill in. 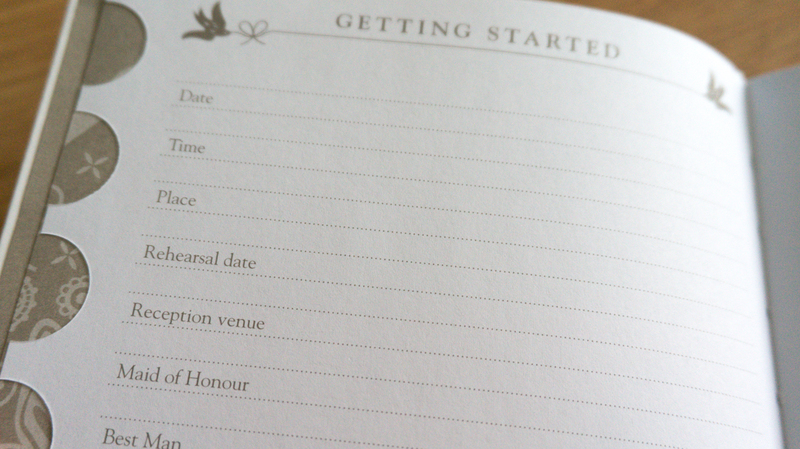 The very first page is the About Us page, where you can write your names, how you met, how you or your partner proposed, the date of your wedding and the song you’ll have for your first dance. Then there’s a Getting Started page where you can make a list of the key players in the wedding such as your bridesmaids, groomsmen and witnesses. 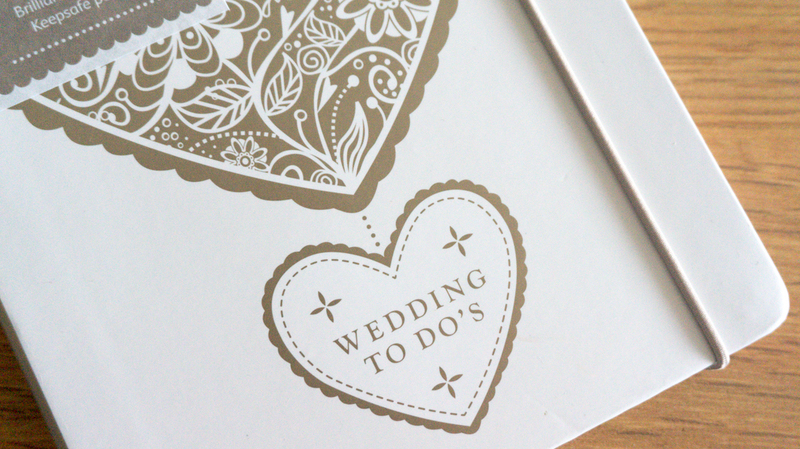 There’s also an overall checklist for all of the essentials like cake, table plan and favours, and some pages for you to jot down extra notes and inspiration. Next is the Guest & Gift section, which is the first of the four easy access sections that use those handy cutouts. 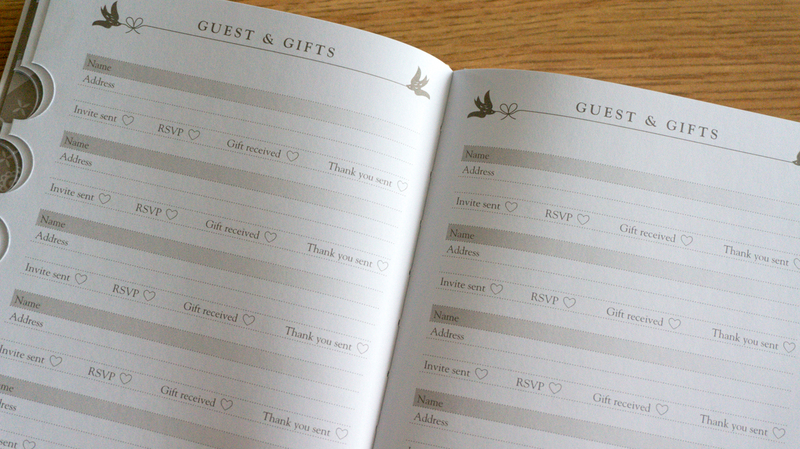 There’s lots of space to write down guests names and addresses, and you can check off when you’ve sent the invite, they’ve RSVPd, you’ve received a gift from them and you’ve sent them a thank you card. If you read my engagement party post you’ll know that this is something I really appreciate because remembering who gave us a gift and what that gift was is trickier than I had realised. At the end of the Guest & Gift section is a little pocket for storing any receipts or papers you might have. 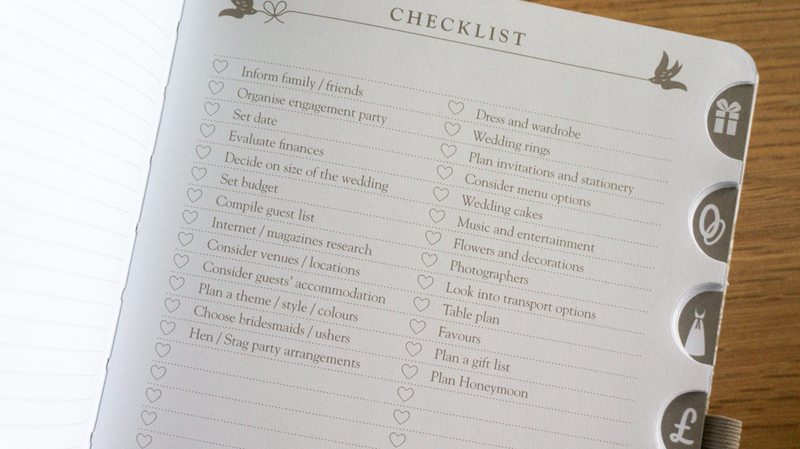 The second section is the Wedding Day section, where there’s a checklist of all the things you need to arrange. There are pages for notes about venues and menus. 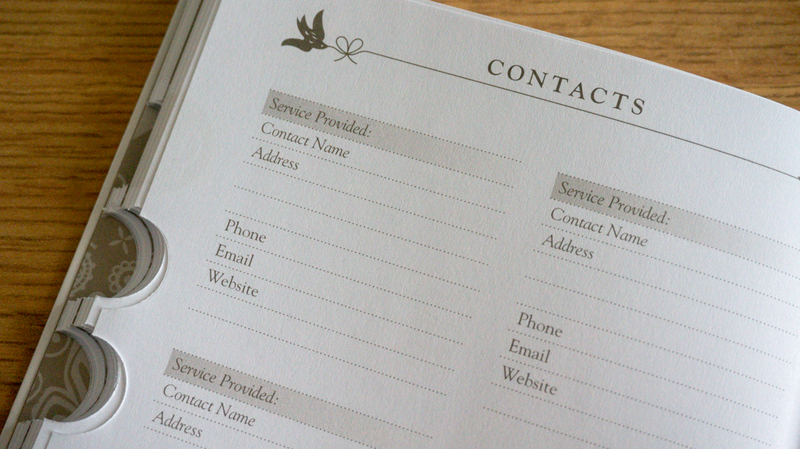 There’s also a couple of pages where you can write the name, address, phone number, email and website for the various contacts and services you require. And then there’s another little pocket. Cute! The third section is all about your Wedding Day Wardrobe (yay!). 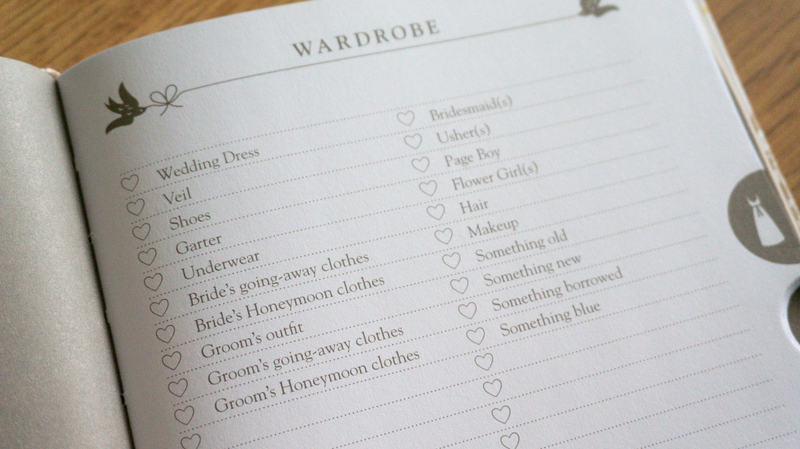 There’s a checklist, and then pages to write (and draw, because one page for each is plain paper rather than lined) any notes you need to about the Bride, Groom and Bridesmaids clothes. And of course, at the end of the section is a third pocket. Finally we get to the fourth section, which is my least favourite but equally important: budget. Booo! 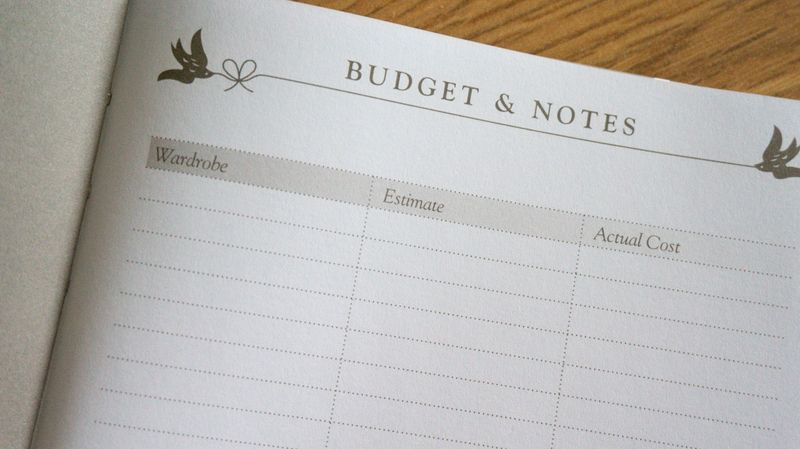 Keep your finances under control by listing your estimates and totals in the sections provided. There’s one last pocket before the end of the book. As you’ve probably gathered, I really like this To Do’s book, but what about the price? From BusyB’s website, the book is available for £10.99, or on Amazon for a slightly lower price of £9.90. I think this makes it a brilliant gift for a newly engaged friend or an affordable treat for yourself. It absolutely looks and feels worth the price. 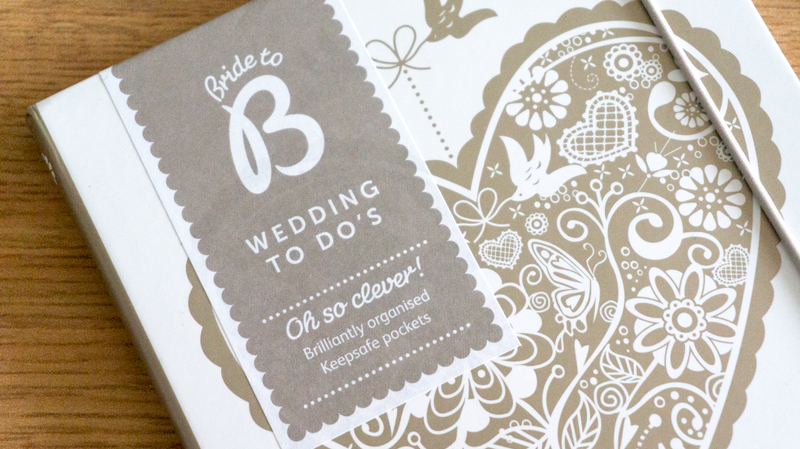 I’m tempted to buy some other bits from Busy B’s website after seeing how great the Wedding To Do’s book is. I’ve already got the couples calendar for this year, which comes with little stickers and pouches for storing bits of paper like invites, tickets or receipts. It’s the best calendar I’ve ever owned! I love it. 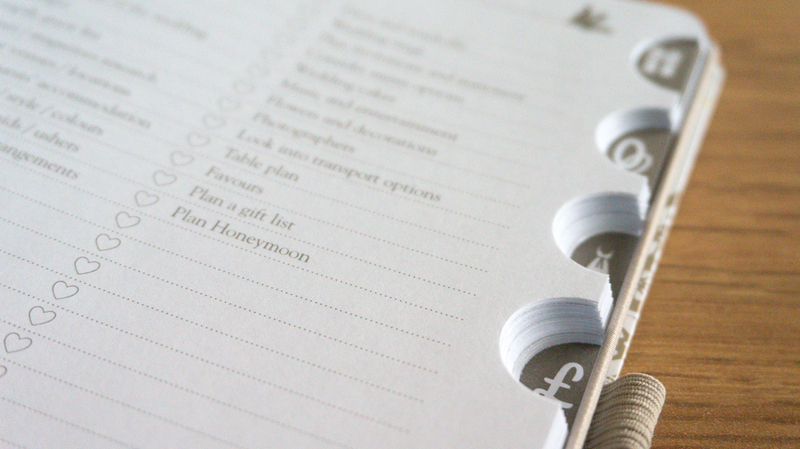 So I’ll be keeping an eye on Busy B to see what else is available to help me stay organised. As this is my first review on Ashleigh Engaged I just want to let you know that I will never, ever write a positive review of a product that I don’t like. It’s just not who I am and no matter how grateful I am to PRs for sending me lovely things to review I would never deceive my readers. I’ll be writing up a Disclaimer/Review Policy page once I’ve got a few more reviews under my belt to make sure that any readers know that they can completely trust this blog and PRs know that I will never guarantee coverage of their product if I wouldn’t recommend it. If my review is going to be negative, I’ll get in touch with the PR and let them know that it’s best I don’t cover it at all. It looks like a lovely book. I might buy it when I get engaged! Congrats! I have nominated you for the Liebster Award! Please Click Here to follow the steps and to accept the award!